Mary Ellen Taylor's latest read is a compelling drama that finds Lucy Kincaid accepting her mother's inheritance in a small Virginian town only to find that the secrets that brought her there might just be her undoing. 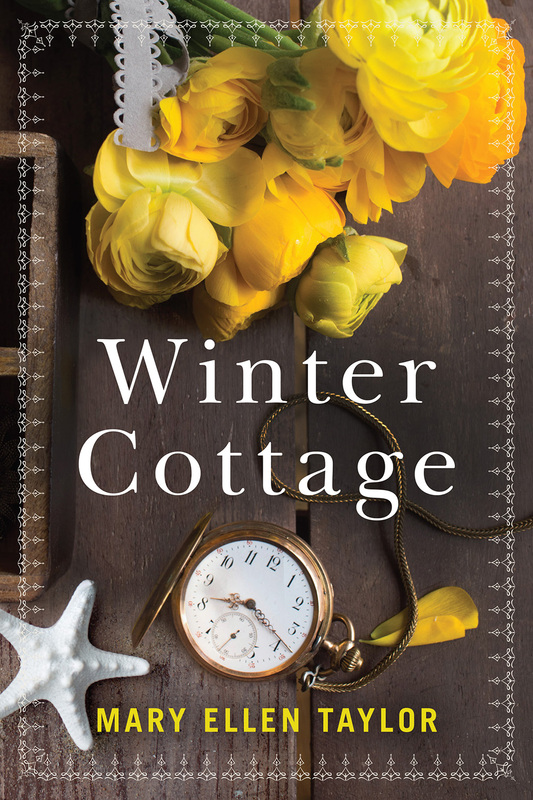 Winter Cottage is a unique, fast-paced romantic mystery that will completely captivate readers. I was happy to dive into this story, not only because it's set near my hometown, but because it has a gothic vibe perfect for an autumn night reading session. Lucy's exploration of Cape Hudson leads her to it's residents. Some who knew her mother, and remembered her fondly, and others filled with hope for the resurrection of their dead town. I loved that her decision to stay was up in the air until the very last few chapters. It gave her time to decide what she wanted and whether she could truly put down roots there, something she's never had to contemplate before now. The back and forth from past and present is balanced and makes solving the mystery a unique experience. The videos that gave Lucy insight into Winter Cottage's past residents were full of secrets that pulled me further into the novel. It's so easy to get wrapped into the lives of the characters because they're realistic and full of juicy secrets! If you enjoy Mary Ellen Taylor's novels as Mary Burton, then you'll definitely enjoy Winter Cottage. Read my review of Cut and Run!